This is our first entry of, hopefully, a few more to come. Below is a picture of all of us at the cemetery. In the morning, we arrive at the site around 8:30 and begin to set up. After putting up the screens, pulling off the tarp that covers the site, and setting up the area where we eat for lunch, we begin the dig. We are excavating 2-meter units down 25-29 centimeters, the depth of the plow zone. These units are located in the southern end of the hospital building that was located at Johnson’s Island. Around midday, we break for lunch and, after eating and a questioning of the homework, end with reading from various letters and journals both from people living and imprisoned at Johnson’s Island and from Andersonville. 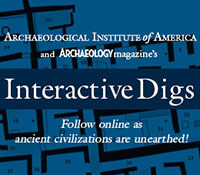 After lunch, we continue with the excavation and screening process, ending around 3:00. We then pack up, bring everything back in from the outside, and place the tarp back over the site in order to keep it moist for the following day. We arrive back at the college around 4:30. 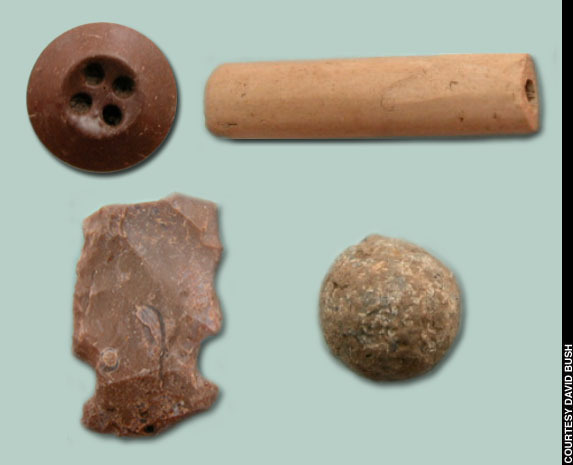 Through the course of the day, we find several artifacts that we keep in order to better understand what went on at Johnson’s Island, both historically and prehistorically. We keep the brick, chert (flint), nails, pieces of metal, bone, ceramics, and glass. We do not keep mortar, coal, unworked or weathered chert, and rocks. Throughout our day, we also find several objects that we keep and designate as Field Specimens (FS), or something that is not normally found out in the field. These include any metal object that is not a small iron fragment (gold, silver, copper, large iron pieces), shell that has been worked, glass that has embossing, Minnie balls, hard rubber pieces, shot (both current and past), worked chert (chert pieces that have been flaked on both sides), and other objects that will significantly further our understanding of both the site itself and the prisoners that occupied it. Even though we have only been at Johnson’s Island for a week and a half, we have already recovered two human teeth that appear to have been pulled for various reasons. Because of this, we have decided to include a section on dental hygiene during the Civil War, both to further our understanding of these finds and to add to the basic knowledge of the site itself. During the Civil War, dental hygiene was not a major concern. The only incentive to keep one’s teeth in working condition was the requirement that one must have six teeth that lined up in order to pull the paper from a gun cartridge to enlist in the army. This season at Johnson’s Island, there have been a few pieces of toothbrushes found that indicate that the men were at least a little concerned with their dental care. These toothbrushes were made out of a carved cow bone, and probably had pig hair inserted as the bristles. We have not found the bristles in the brush area, but have found the areas where the bristles would have been inserted. When one’s tooth did form a cavity, if one could afford it, a dentist would fill the cavity. These fillings were made from various substances that included gold, lead, a silver/mercury mix, hard rubber, or tin foil. If you could only afford a temporary filling, you could get one in either obsidian or chert (flint). When all else failed, the dentist would simply pull the tooth out. For this procedure, a device called a tooth key was invented. The “key” would wrap around the tooth, and with a turn, pull the tooth out, occasionally breaking the persons jaw, or severely damaging the soft tissues of the mouth. During the War Between the States, the Union did not have any formal dental care for either their soldiers or the prisoners; however, in 1864, the Confederacy did begin to draft in dentists to work under the same ranks as doctors. In Captain Robert Bingham’s diary, during 1864, a dentist is mentioned to have been practicing within the prison compound. My feelings were hurt again today by the dentist – but I am done till I get more cash. He works high considering – but very well I think. The dentist may have been one of the ones that was working for the Confederacy and was captured at a battle, and since doctors were officers, was sent up to Johnson’s Island. There will be more updates in the next few weeks, with more information about what is going on at the island, and how things are going as we continue to live the day-to-day life as field school students on Johnson’s Island. Feel free to ask any questions by leaving a comment. 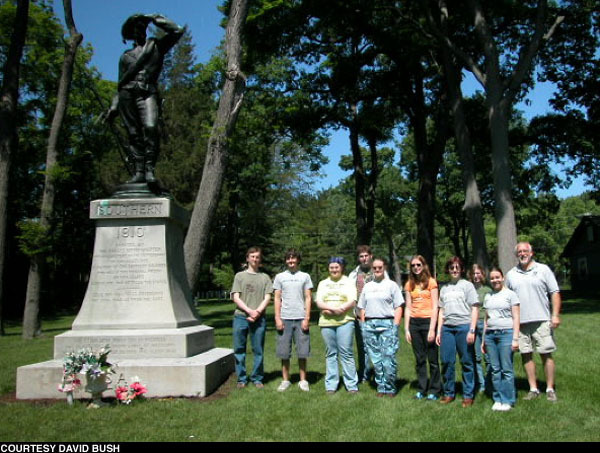 This entry was posted on Friday, June 16, 2006 at 12:18 pm	and is filed under Field Reports. You can follow any responses to this entry through the RSS 2.0 feed. Both comments and pings are currently closed. thoese old teeth are amazing, I would love to study them closly. I find it facinating how they remain so preserved over time.